Prescription and OTC drug misuse and abuse is an epidemic in the United States. Drug poisoning due to overdose is now the leading cause of accidental deaths in the U.S. As an employer, it is imperative that you develop a clear corporate medications and safety policy that is clearly communicated to all employees. This course will give you the practical tools you need to develop a brand new medications and safety program or enhance your existing program. 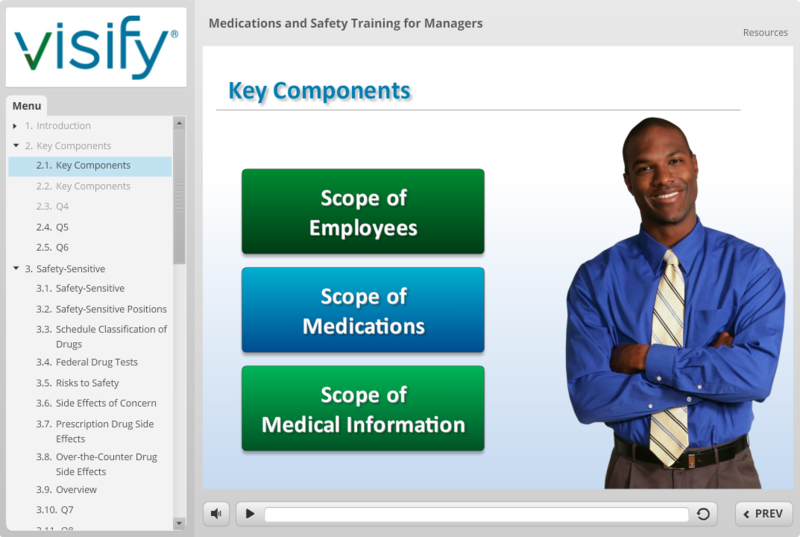 NOTE: this course is best used in conjunction with our Medications and Safety Training for Employees course.